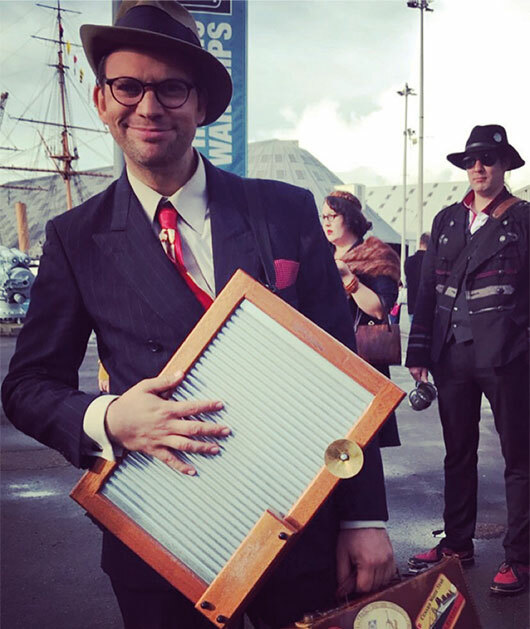 The first thing you notice about this event and Chatham Dockyard itself, is that it feels like history has come to life. When visiting you connect with a strong sense of the past as you walk around the site, which during the war refitted, repaired and maintained 1,360 ships and saw 2,300 dockyard workers join the Home Guard to defend it. It’s a perfect backdrop for a celebration of the 1940s and that is just what Salute is. 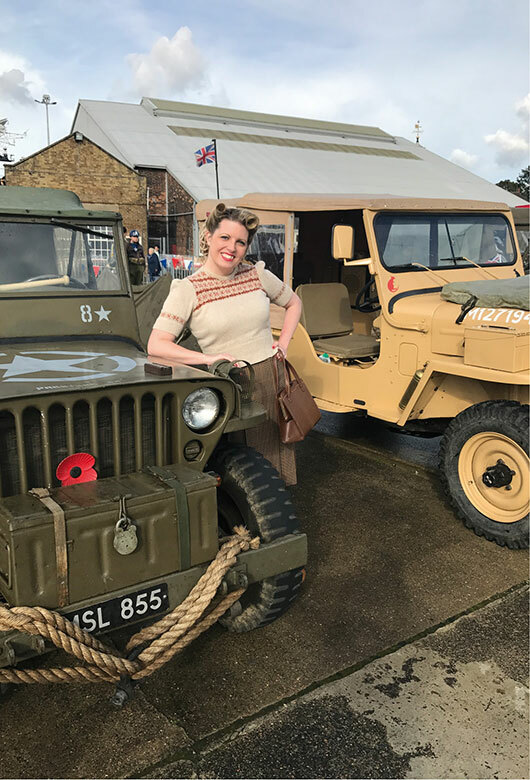 One of the reasons that Salute is such an interesting family day out is its mix of shopping, games, food and entertainment alongside the historical artefacts to explore. It is a real eclectic mix, with something for everyone. Throughout the day there are air raid sirens sounding and gun salutes as well as a chance to experience an air raid shelter. This fascinating tour is lead by an ARP Warden who discusses the history of the shelters and the Second World War. Over 1,300 air raid warnings sounded in the dockyard during the war and 94 bombs hit the dockyard injuring 107 people and sadly killing 15. All through the day the HMS Cavalier is open for exploration as well as the re-enactment area where visitors can learn about life in a military camp. The re-enactors were friendly and happy to discuss their displays and have their pictures taken, or to let you take photos with their vehicles. They all looked amazing and my highlight was seeing them in the Vintage Fashion Parade at the end of the day. It really felt as though you had stepped back in time. It was not just the re-enactors who looked superb; so many visitors were dressed in their 1940s finery too. It was wonderful to see whole families dressed up embracing the spirit of the event. A lovely touch was seeing children dressed as evacuees meeting real evacuees. The British Evacuees Association is part of Salute and has been for many years. 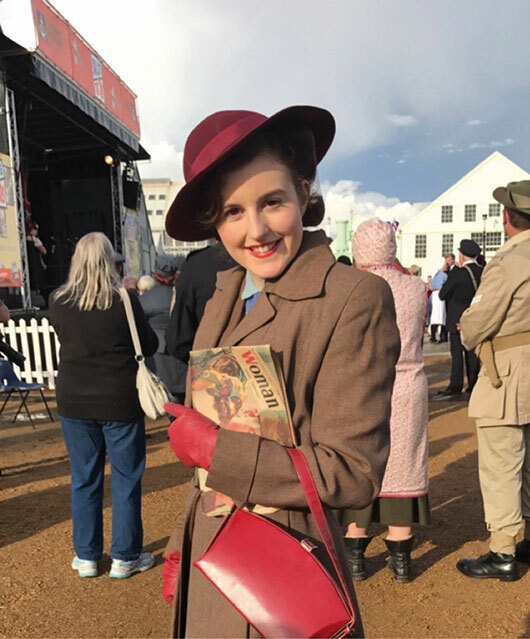 I was lucky enough to interview Jill Cavanagh for Issue 5 of In Retrospect, Jill is a member of this society and attends events such as Salute to tell her story and ensure that hers, and all evacuee stories are preserved for generations to come. Salute to the ‘40s features an impressive recreation of a ‘bombed out street’ complete with sweetshop, pub and general store. A great backdrop for pictures alongside a slice of Home Front history. There were also a 1940s fire station, Dig for Victory Garden, Spitfire Aircraft and a plethora of vintage cars to look at and take photos of. The cars are quite glorious to behold and have their own parade in the afternoon. The owners talk keenly about their vehicles and some let you climb in for a photo. It is a very friendly festival, with people stopping each other to compliment parts of their outfits, people dancing together and visitors all singing along to some Great British classics. If you are a fan of the TV series Call The Midwife then you would recognise much of the backdrop from the Dockyards as throughout all five series it was transformed into 1950s ‘Poplar Dock’. You can even put your face through the photoboard and become one of the characters. During the day in between playing games such as a giant Hook-A-Duck or going to the penny arcade you can also shop! There are a variety of vintage shopping stalls available adorned with bags, shoes, uniforms, accessories and much more. 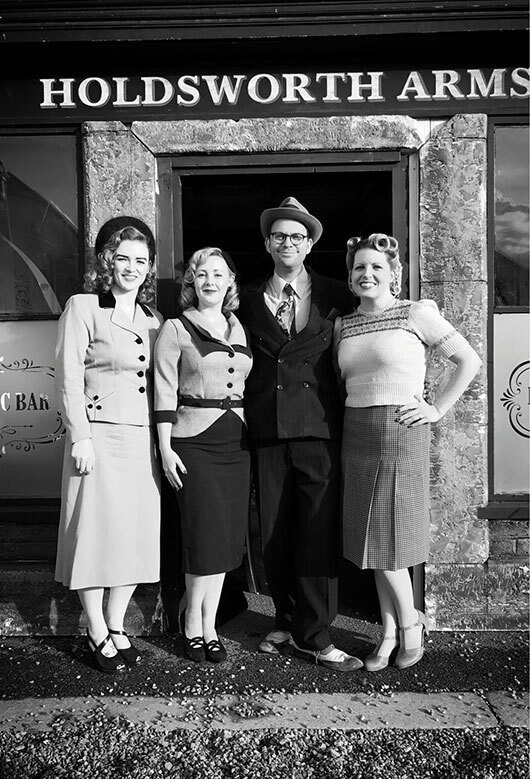 There’s a beauty parlour and gentlemen’s barbershop in order to get your 1940s look just right and tea and cake for the masses. If you don’t fancy cake there are fish and chips or pie and mash along the way. There were also some fabulous little themed caterers throughout the site, adding to the living history experience. Once you have shopped, stopped for afternoon tea and taken a mass of photos, you can relax by one of the stages and enjoy the wonderful entertainment, which is a fabulous constant throughout the weekend. All of the acts were superb. One of the highlights being The Glenn Miller Orchestra UK, who maintain the exact line up of Glenn’s band. I had a fabulous time exploring, chatting, shopping and eating fish and chips! 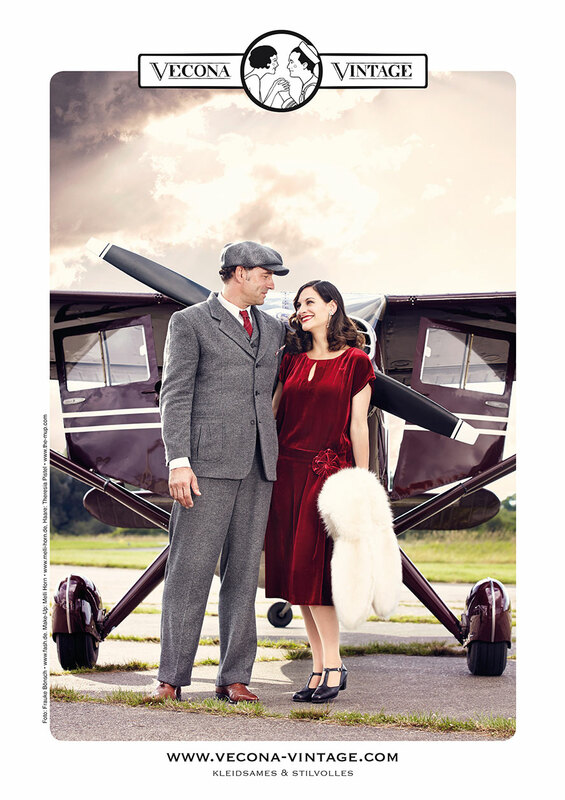 I had such an enjoyable time embracing this 1940s experience and I will definitely be getting tickets for next year. 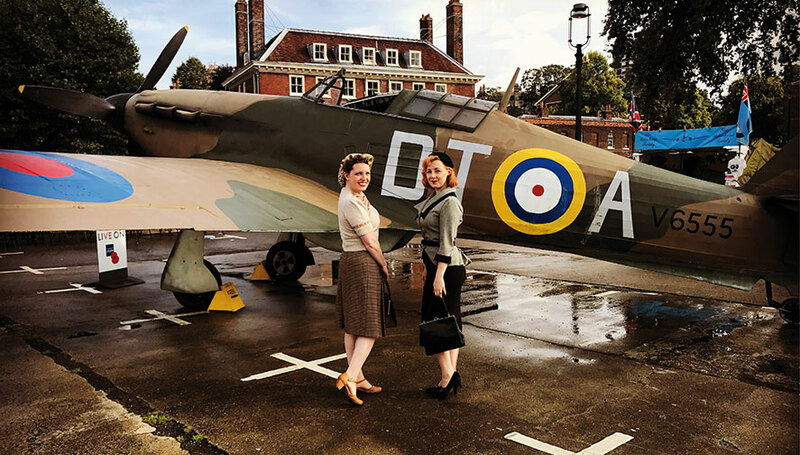 If you do get a chance to visit Salute to the ’40s at The Historic Dockyard next September, you certainly won’t be disappointed.